It's typically not the kind of video game you would see on WonderHowTo. Instead, you'd learn about games with gruesome zombies or beer guzzling dwarfs, even a controversial, dystopian war. But Sissy's Magical Ponycorn Adventure deserves some serious praise. The Flash game follows Sissy on her hunt for ponycorns—mythical creatures that combine both ponies and unicorns. After acquiring five empty jars from Orange Boy, she travels the lands via rainbow teleportation looking to build her ponycorn collection. But it's not easy. She must outwit the likes of Mr. Turtle, Mean Tiger, and the villainous Lemon in order to fill up her jars. Why go through all the trouble? Because she "friggin' loves ponycorns," that's why. 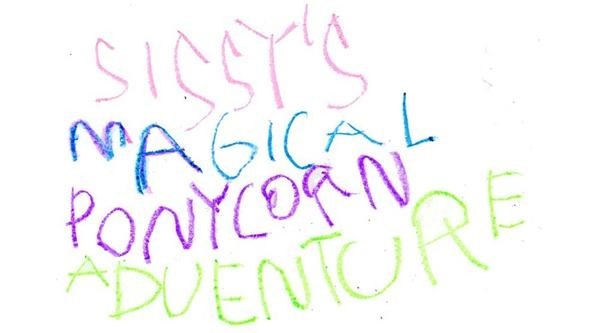 Sissy's Magical Ponycorn Adventure sounds like a kids game, and that's probably because the mastermind behind it was Cassie Creighton, a five-year-old from Toronto, Canada. She's the artist responsible for the squiggly-lined drawings, along with all the titles and the voice of the protagonist. Cassie even came up with the non-player characters (mentioned above) by herself, as well as a few of the key puzzle elements in the game. 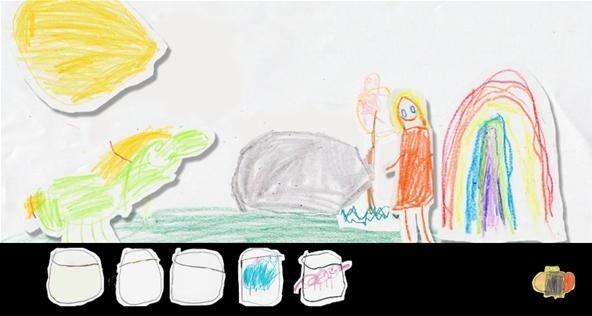 However, it's doubtful that a five-year-old girl could design a Flash game entirely, and that's where her father comes in. Ryan Creighton, founder of Untold Entertainment had always wanted to work with his daughter on a game, so he took her to TOJam, a three-day Toronto independent game jam. After a weekend of hard work with his daughter, Sissy's Magical Ponycorn Adventure was born. It's really quite impressive. Enough to satisfy this Scrabble nerd who's more accustomed to strategy-based games and first-person shooters. Check it out. There are no machine guns or co-op multiplayer modes, but it's super cute and well worth the ten minutes, no matter how old you are. It's already been played over 150,000 times in the past week. The game is free to play, but Ryan placed ads at the beginning of the game in hopes of generating some cash for Cassie's education fund that was started by her grandmother. Players can also donate via PayPal if they'd like. Who knows? Maybe you're investing in the next Roberta Williams (hopefully not the next Amy Briggs). As of right now, there's $2,710.50 in donations. I just played this yesterday. Highly recommend it just for the voice overs! über cuteness! :D PONYCORNS FTW! Wow just spent the last 20 minutes playing it... totally amazing!